Fordway has worked with universities and colleges across the UK on a wide range of projects, from updating storage to implementing cloud computing. We understand the challenge of providing high quality IT services to meet the needs of students, academics and administrators in a climate where budgets are being slashed and the unknowns around Brexit are increasing competition for overseas students. Introducing new IT infrastructure is not always straightforward, as universities often have legacy software or hardware which has not been upgraded for some time, and any potential capital outlay needs to be considered carefully against the total cost of ownership. Whatever your needs, you can rely on Fordway for independent advice, expert implementation and skills transfer to your in-house staff so you can manage on your own when the project has been completed. Our customers include: Barnsley College; Birkbeck, University of London; the University of Cumbria; the University of Dundee; the University of Huddersfield; the University of St Andrew’s; and the University of the Arts London. 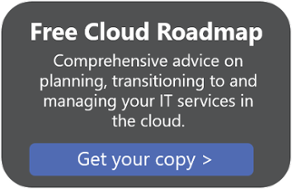 Our Cloud Readiness Assessment helps you evaluate the pros and cons of cloud and develop a roadmap for moving to public cloud services where they offer significant benefits.